Hotel Salem castle is a classy and comfortable property situated in Swarnapuri, Salem. The property has classic and spacious rooms. 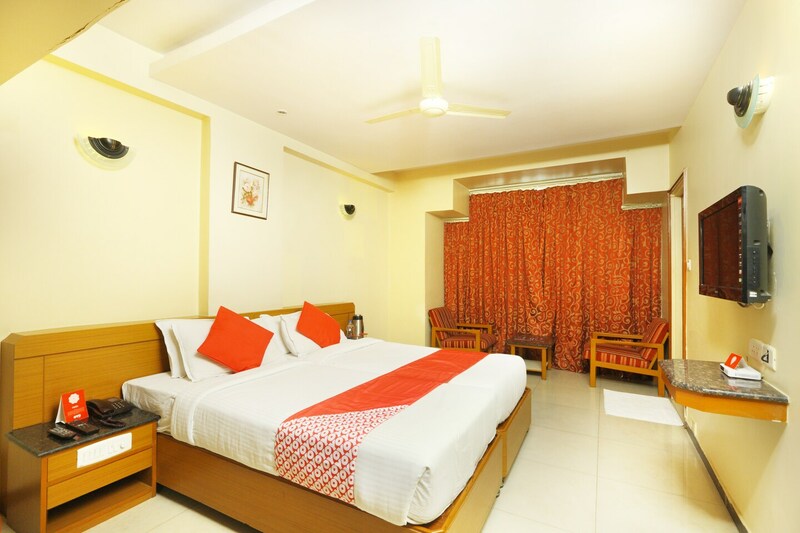 The rooms are brightly lit and have pleasant and charming ambience giving the guests a peaceful and satisfied stay. The property has spacious rooms and offers the guests with a variety of rooms. The rooms offer modern amenities like a mini fridge and bathrooms fitted with geysers. There is also a separate seating and large dining area along with bar facility and laundry service for the guests. The property offers the guests with power backup facility, elevator facility card payment facility, parking facility and CCTV camera security. The guests can visit tourist attractions like Kiliyur falls, Yercaud Lake Boat House, Kalaiman Temple, Glen Field View Point and Hogenakkal Falls. There are plenty of restaurants around like Sri Saravana Bhavan, Kovai Raowther Biriyani, Saravana Parottas, Purple Basil, Cheesy Juicy Burger Street and Rashikas Restaurant.